Cyanocitta cristata, or the common blue jay. Sometimes animals can be so common that they can be taken for granted, what we call the tragedy of the commons. In this week's episode of Wildlife Matters, the Masked Biologist expresses his appreciation for the very common blue jay. I have shared in previous writings my affinity for members of the Corvid family. Corvids are a group of birds that include crows, ravens, jays, and magpies. Of all the birds in that family, I would say Blue Jays are my favorite. Jays are really fascinating birds. They appear a brilliant blue color. In fact, like bluebirds, the feathers are not an actual blue color; blue jay feathers are brown. However, the microscopic barbs that cover the feathers have modified prismatic cells on their feathers that scatter light waves, reflecting the blue back out. They have a prominent crest on their head that they can raise or lower depending on their state of mind. They have a variety of songs, although some would argue they are not terribly musical. The call for which they are named is a piercing “Jaay Jaay!” Another call is often described as a rusty gate hinge, but I think of it more like the sound the well pump handle makes. They have other less recognizable calls, and often mimic hawks and other bird species. 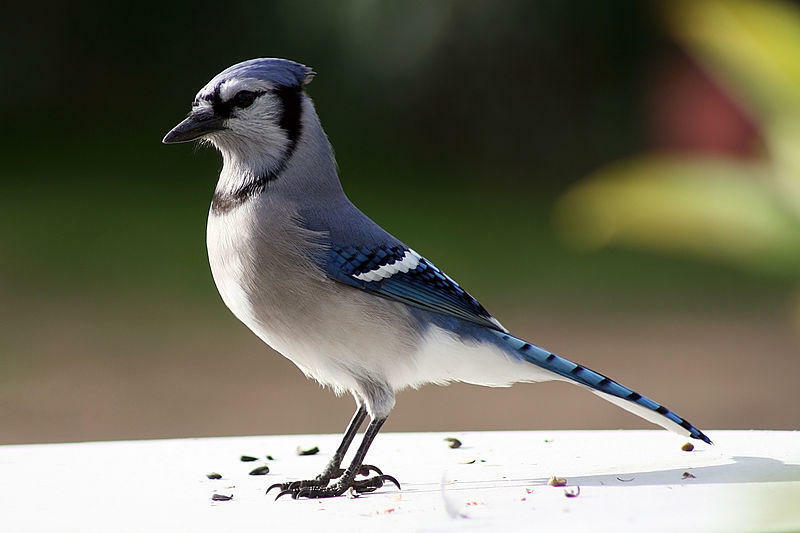 The diet of Blue Jays is highly variable, depending on the time of year. They love acorns, so in the fall they collect them, carrying three or four at a time to a nearby location where they hammer them into the ground for safekeeping. Jays like other nuts too, as well as fruits and grains, and are happy to come to large bird feeders with shelled corn or peanuts. They eat insects, small injured or dead animals (like frogs or rodents) and sometimes even other birds. Jays have a reputation of being nest robbers, but recent studies show nestling birds comprise a very small percentage of their stomach contents. Jays are definitely not welcome around bird nests, though, and are frequently run off by smaller birds protecting their eggs or young. Blue Jays mate for life. The couple shares in the nest-building, and the female incubates the eggs. The male brings her all her food while sitting on the eggs, and during the first several days after they hatch, the male feeds the female and all the chicks. Once the chicks have grown their flight feathers, they travel with the parents as a family group and forage throughout the summer and fall. They demonstrate a strong family bond and are very social within their own family circles. Blue jays are also very long lived, compared to many other migratory birds. In fact, the longest lived wild banded blue jay died in 2016, and it was almost 27 years old! I was going to say blue jays stay here year-round, because I hear their calls year-round, but in fact they are migratory birds. Sort of. Actually, as well studied as other birds are, blue jay migrations are largely unknown. Some birds seem to decide year to year whether to head south for the winter or stick around. Younger birds appear to migrate, and mature birds migrate less often. Who knows? If someone would actually study blue jay migrations, we might discover they can predict winter severity? Blue Jays may not be the most popular bird, with the prettiest songs or the best reputation, but they are strong, hearty survivors that take care of their mate and their family. They are easy to take for granted because they are so common; still, they are a great addition to the variety of birds that surround us. Striving to make new things familiar and familiar things new, this is the Masked Biologist coming to you from the heart of Wisconsin’s great Northwoods. Frequently our encounters with wildlife are completely safe, but there are always risks for injury or disease if bitten or scratched. 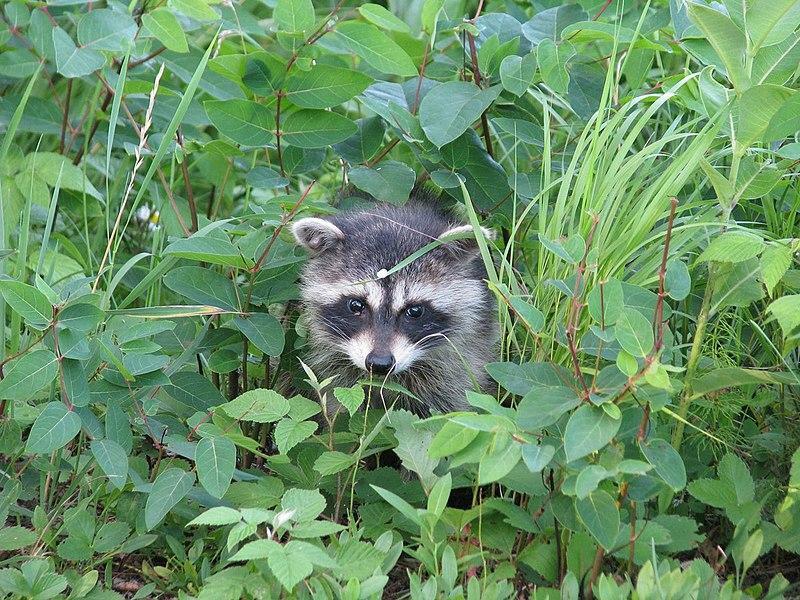 In this week's episode of Wildlife Matters, the Masked Biologist talks about the prevention and presence of rabies.